BBOSE Result 2018: BBOSE will declare the result of second examination in February 2019 that will be held in December 2018 for 10th and 12th. Bihar Board of Open Schooling and Examination is the self-governing educational body of Bihar which conducts the examination and declares the result for non-school going students. Examination of 10th and 12th is held twice in a year, July and December. As mentioned on the official website of BBOSE, students who have appeared in the examination will get their result soon. In 2017, result was declared after 2 months of examination. 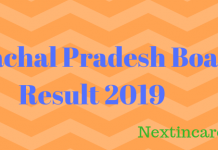 Go through this article to get more information on BBOSE result 2018 and how to check your result. BBOSE Open Exams will be conducted in December 2018. Bihar Board of Schooling and Education conducts the examination twice a year. Since 2011, Bihar Open Board is responsible for designing the syllabus, conducting the exam and declaring the result. More than 2 million candidates applied for secondary and senior secondary education, making it one of the most sought out open school exams in the country. BBOSE Result 2018 will be announced on the official website of Bihar Board of Open Schooling and Examination. Candidate may check their result online by following the instructions mentioned below. Every year, candidates who appear in BBOSE Examination face a problem while checking their result. They choose to go to cyber cafes in order to easily get their result. Here, we are providing you the complete step by step instructions on how to check your result online at your home. Visit the official website of BBOSE. And also, link will be provided here too. Look for result section in the website. 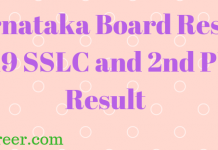 Click on “Result of second Examination December 2018”. In the next step, students have to select the exam they have appeared in from the given choice. Enter your enrollment number and hit search button. Now, students can check their result and their result status. 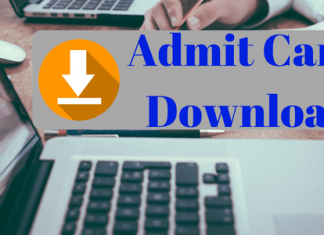 Students must download the result as it will work as a valid document until they get an original mark sheet. Take a print out for a physical copy of result. Students who will be impatiently waiting for BBOSE Result 2018 can check the details from below. Bihar Open Board mentions these details in order to be more valid and clear. BBOSE is the self-governing educational body of Bihar. It provides school level education to people who couldn’t attend regular school due to social, religious, cultural, medical, livelihood reasons. Its primary concern is to raise the retention rate of school level education. BBOSE has been organizing the exam since 2011 at many centres in Bihar. Its secondary and senior secondary certification is equivalent to CBSE/NIOS. For secondary exam, candidates should be at least 14 years old. For senior secondary exam, candidates should be at least 15. Board will reject the applications of those who won’t meet the eligibility criteria.